Until recently, many advertisers viewed Google AdWords and Facebook Ads in an adversarial way. The two companies’ long-standing rivalry, often dramatized by technology media outlets, was taken as irrefutable evidence that the two platforms were in direct competition with one another, and that it was necessary for businesses of all sizes to make a difficult decision about which platform was right for their needs; a false dichotomy that remains confusing and misleading to those new to online advertising. Although the two platforms are often positioned as competitors, nothing could be further from the truth in a practical sense. Many businesses are leveraging the strengths of advertising on Google and Facebook Ads in concert to achieve maximum visibility, increase leads and sales, and find new customers, adopting different strategies that align with the functionality of each platform and seeing remarkable return on their advertising spend. What Are The Differences Between Google AdWords and Facebook Ads? 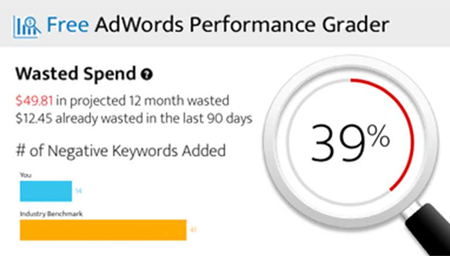 Google AdWords is the world’s largest and most popular PPC advertising platform. AdWords is so widely used, it has become synonymous with the term “paid search.” The two terms are used interchangeably, even though other platforms such as Bing Ads work in a similar way. Paid search focuses on the targeting of keywords and the use of text-based advertisements. Advertisers using AdWords bid on keywords – specific words and phrases included in search queries entered by Google users – in the hopes that their ads will be displayed alongside search results for these queries. Each time a user clicks on an ad, the advertiser is charged a certain amount of money, hence the name “pay-per-click advertising.” PPC bidding and bid optimization is a complex topic, and beyond the scope of this guide, but essentially, users are paying for the potential to find new customers based on the keywords and search terms they enter into Google. Facebook Ads is a prime example of what is known as “paid social,” or the practice of advertising on social networks. With the highest number of monthly active users (or MAUs) of any social network in the world, Facebook has become a highly competitive and potentially lucrative element of many business’ digital advertising strategies. Although advertising on Facebook can be thought of as similar to AdWords, in that advertisers using both platforms are essentially promoting their business via the Internet, this is where the similarities end. Unlike paid search, which helps businesses find new customers via keywords, paid social helps users find businesses based on the things they’re interested in and the ways in which they behave online. As the world’s most popular and widely used search engine, Google is considered the de facto leader in online advertising. Fielding more than 3.5 billion search queries every single day, Google offers advertisers access to an unprecedented and unequaled potential audience of users who are actively looking for goods and services. Google’s advertising offerings are split across two primary networks – the Search network, and the Display network. The Search network encompasses the entirety of the Google as a search engine, and advertisers can bid on millions of keywords and phrases to target prospective customers. One of the main advantages of using Google as an advertising platform is its immense reach. Google handles more than 40,000 search queries every second, a total of more than 1.2 trillion web searches every single year. As Google becomes increasingly sophisticated – in part to its growing reliance on its proprietary artificial intelligence and machine learning technology, RankBrain – this amazing search volume is likely to increase, along with the potential for advertisers to reach new customers. One of the biggest misconceptions among those new to PPC is that whoever has the largest advertising budget somehow automatically “wins” at Google ads. Fortunately, nothing could be farther from the truth as AdWords focuses primarily on the quality and relevance of ads, not how much advertisers spend. To learn more about relevance and Quality Score, Google’s system of evaluating ad quality, as well as an overview of how Google AdWords works, check out our free learning resources at PPC University. Although PPC ads in AdWords remain text-based, advertisers can take advantage of an incredible number of features to make their ads more compelling and enticing to prospective customers. Ad extensions, sitelinks, social proofing such as user reviews, location targeting, Shopping ads, and a host of other features are available to advertisers, offering an unparalleled level of customization and control to advertisers. Google has even introduced ad formats tailored to the unique needs of specific types of businesses, such as vehicle manufacturers and hotels, which go far beyond the typical text-based ad experience and incorporate rich visual elements such as high-resolution images and interactive map data. Compared to Google AdWords, Facebook Ads (as we know it today) is the scrappy newcomer, but in fact, Facebook has been refining and improving its advertising solution for several years. Today, Facebook Ads is a pioneer in the sphere of paid social and has become a central part of many business’ digital marketing strategies. Similarly to Google AdWords, Facebook boasts a truly vast global audience. With more than 1.55 BILLION monthly active users – more than one-fifth of the entire world’s population, and that’s not counting inactive or infrequently used accounts – Facebook has no rival when it comes to the enormity of its audience. However, rather than exposing advertisers and their messaging to this vast audience, the true strength of Facebook’s immense audience lies in the potential granularity with which advertisers can target Facebook’s users. People share almost every conceivable detail of their lives on Facebook. From meeting and marrying partners to the birth of children or the celebration of new career moves, Facebook’s users share the joys and accomplishments of life’s milestones with their friends and networks every single day. They also search for and consume content that aligns with a huge range of personal interests, beliefs, ideologies, and values, presenting advertisers with a unique opportunity to tailor advertising messaging to target audiences in ways previously considered impossible, or even unimaginable. Unlike their comparatively dry, text-based PPC cousins, Facebook ads are powerfully visual. The very best Facebook ads blend in seamlessly with the videos, images, and other visual content in users’ News Feeds, and this enables advertisers to leverage not only the strongly persuasive qualities of visual ads but to do so in a way that conveys the aspirational messaging that makes high-quality ads so compelling. Just as Google is constantly experimenting with the formatting of its text-based PPC ads, Facebook constantly evaluates how it can offer advertisers a superior marketing platform and users a satisfying, rewarding online experience. In the past, Facebook mandated that ads on its platform featured text that occupied no more than 20% of the total advertising area, a restriction it has since relaxed. However, despite this considerable change to its advertising governance, Facebook remains an inherently visual platform – a major selling point to many advertisers. Businesses and marketers experimenting with Facebook Ads are often impressed by the granularity of its targeting options, as well as the tools they have at their disposal for creating beautiful, engaging ads. However, one element of Facebook Ads that consistently takes newcomers by surprise is the potential return on investment that advertising on Facebook offers, and how far savvy advertisers can stretch a limited ad budget on the platform. Although the budget of a Facebook advertising campaign will vary widely depending on a range of factors, such as scope, messaging, and overall campaign objectives, Facebook Ads are remarkably affordable, especially when considering their potential impact and the granularity with which advertisers can target their ideal audiences. This highly competitive pricing makes Facebook Ads a very attractive proposition to small businesses and companies with limited resources – not just big brands with vast marketing budgets. Combined with the remarkable potential returns offered by the platform, Facebook Ads is one of the best-value online advertising solutions available today. Google AdWords and Facebook Ads: Which Should You Be Using?